You have a lunch hour…so USE it! 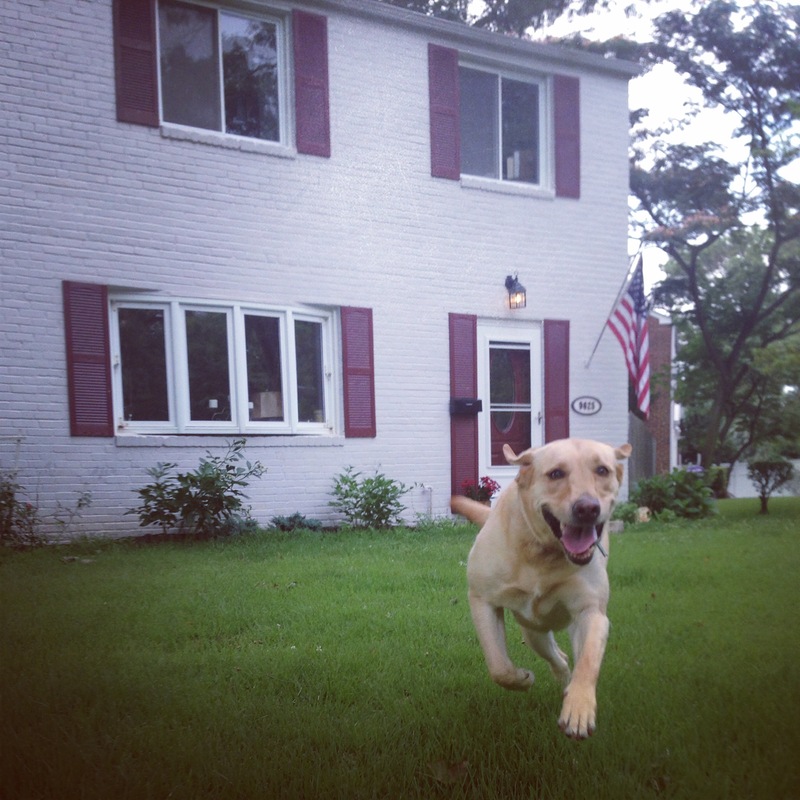 I take Stella along for a walk or run most days between 12:30-1:00. That gives me another half hour once I’m back to shower and grab a quick lunch from the kitchen. Easy peezy! We usually only do a mile or so, but it’s enough to get our muscles moving, hearts pumping, and spirits RISING! It’s also a good excuse to see people…you know…to have human interaction. Probably sounds a little weird to say that, but when you go for long stretches of no work-related travel and you’re home all the time – it’s awesome to have little doses of conversation here and there. I’ve met more neighbors working from home than my previous job where I had a long commute. Like Ms. Campbell – she is this precious older lady who lives down the road from us and keeps a BEAUTIFUL garden and front yard. When Stella and I are out, she loves to say hello and tell us about how her children are. I just love throwing little moments like that into my day. That sounds like an oxymoron. Right? Who’s actually tempted to do chores?! Well, it actually kinda happens – you’ll be tempted to get things done while you’re home like laundry, dishes, errands, etc. You can totally do it all, just be sure to designate certain times of the day for that. I’ve gone grocery shopping at 7:30 a.m. plenty of times. High five to the Safeway in the Hillandale Shopping Center of Silver Spring! They’re open early. Noon – 1:00 p.m. is also a good opportunity to do laundry, vacuum (haha…not that I actually dooooo that during lunch, but just sayin’…it’s an option! ), and any other chores that you’ve been needing to get done. Then there’s the whole lack of a commute thing! Between 5-6pm used to be when I would sit in traffic, trying not to cry. But now I get to start working on dinner, tidy up the house, or even hop on the local Metro by 5:30 to meet up with friends for a happy hour in the city if I want to! It’s AWESOME! …which is why it’s good to keep those visits numbered. But when you do decide it’s a good day to plug in your headphones, plan your work travel efforts, crank out emails, and go crazy with your fancy excel spreadsheets – then it is SUCH a treat to be among people in an environment like that again. 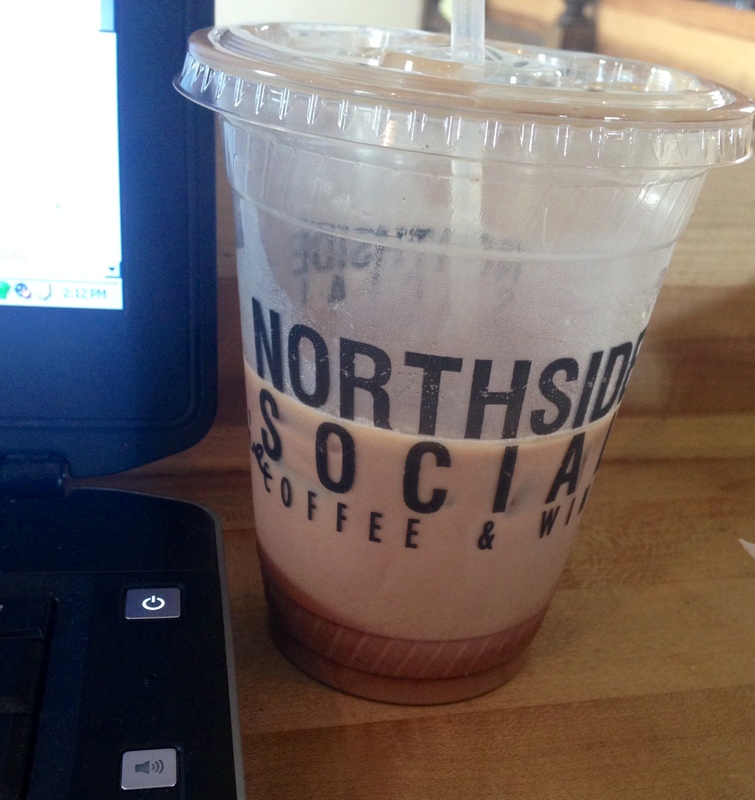 My favorite place to go in the Washington, D.C. area is Northside Social, located in the Clarendon neighborhood of Arlington, VA. Without hesitation – it’s my favorite coffeehouse in the area. For breakfast you’ve gotta try their Cheddar Chive Scones alongside an Iced Mocha. Or if you’re a little hungrier – order their poached egg sandwich on a honey wheat flat-bread with lightly seasoned frisee, cheddar cheese, and thick, divinely smoked bacon. For lunch? No hesitation – their white bean pesto soup is my favorite. It’s served with a fresh slice of white bread – perfect for dipping in the soup. So yeah…it’s definitely good to get out once in a while :). If you work remotely for a team of people – be sure to reach out to them. This is an effort that took me longer than I expected to get used to. In a normal office environment, I would simply hop in from one co-worker’s office to another and ask questions, verify things, or even let questions come to me as I waltzed in to snag some chocolate/candy up for grabs. It was great! But when you work remotely – you need to be a little more proactively social. I am a big advocate for asking questions ALL the time in the professional workplace. It’s a great way to make sure that your ideas and daily expectations are in line with what’s needed from the team. Taking away that daily interaction presents a few obstacles, but luckily that’s what IM, cell phones, video conferencing, and email are all for! Staying connected will help you to feel like you’re not on an island where your only co-worker is your dog ;). Keep a checklist every day. Along with that checklist, also be sure to keep track of what you accomplished each week. If you make the transition from working in an office to working from home…try to record your progress of each day. Then put them side by side and holy moly….you’ll be surprised by how much you can accomplish with no interruptions! Working remotely has changed my life. It’s been an absolute blessing to focus heavily on my tasks at hand, have a quiet space to think creatively, and also have the professional tools to stay connected with one heck of an amazing team as well. I’m so grateful for the time that I’ve had working from home over the past year and a half! Your turn! For those of you who work from home/remotely – feel free to share your suggestions as well! What’s worked well? Or, for those of you who are considering making this kind of professional transition, what questions do you have? Feel free to comment below!